Considered by many to be one of the most beautiful stretches of coastline in the world, a trip to San Diego isn't complete without a visit to La Jolla. I'll show you my favorite dining options, from ocean view extravagance to everyday local eateries, something for every budget. Yes, this is high end San Diego with beautiful people driving expensive cars but it's still very tourist friendly and you can still come in shorts and flip flops in all but the fanciest of restaurants. After you dine don't forget to take the short walk to the beach to see the seals (pupping season is winter to spring) or to check out the tidepools. Come for lunch, stay for the sunset and if you're like most people you might never want to leave La Jolla once you see it for yourself. Nothing kicks off the San Diego holiday season better than a sunny day by the bay feasting on gourmet bites from some of San Diego's finest chefs while sipping top notch wines and spirits. If you're lucky enough to be here the week of Nov 12th (or luckier to live here) you need to go to this event! The Saturday Grand Tasting event is the highlight but plenty of foodie happenings throughout the week. Get More Info on event here. I get asked all the time which restaurant to dine at if I could only pick one and my answer is always the same - George's at the Cove. But that's misleading because George's is really two separate restaurants, the more casual al fresco dining on the rooftop called the Ocean Terrace and the fancier inside dining called California Modern. For a breathtaking view and ultimate laid back experience, head upstairs to the Terrace. It's fun, it's lively, and quintessential San Diego. For a gourmet experience from one of our best chefs in town, go Modern. Both restaurants will make you fall in love with George's - and with San Diego. Talk about ocean view! A San Diego fine dining institution since 1941, The Marine Room is so close to the water that the waves crash against the windows at high tide - and yes, a few times the waves have actually broken the glass and flooded the restaurant. But considering this has only happened twice in the past 60 years it's a fair bet your dining experience will be a dry one so go ahead and take off that life preserver and dive into some of the best and most creatively presented food in San Diego. No tourist trap, this place has been a long time local favorite for romantic upscale dining. Dressy but not snooty, this is upscale dining, San Diego style. (RECOMMENDED) I normally don't dine at chain restaurants on vacation because it seems obvious - a Ruth's Chris in San Diego is the same as the one in your hometown. But I will recommend Eddie V's, a high end seafood and steakhouse chain because elegant dining and live jazz just feels right when you're in a location like La Jolla. Ultra fresh and beautifully prepared seafood and steaks with an incredible view at just about every table. Lunch menu is downright affordable, a bargain for ocean view dining, and evening dinner with live jazz and a sunset view just doesn't get muchbetter. Great lounge, stop in for a fresh cocktail and ocean view. If you've been to Hawaii you know all about Dukes and their empire of upscale yet casual restaurants. Owned by the same people who own Jake's Del Mar as well as Hula Grill and Kimo's on Maui, you can expect breathtaking views and quality if slightly predictable seafood dining. The restaurant itself is surprisingly low key - take away the view and it almost looks like an Islands Restaurant, the popular family burger joint. The menu won't get foodies excited - fish tacos, steak, macadamia nut crusted fish - but visitors looking for ocean view dining will be more than happy at Duke's. What the heck, a full on ocean view breakfast and lunch spot that's tucked away on the UCSD Scripps Institute of Oceanography campus? That's right, the view here will have you taking pictures of actual scenery rather than your plate (or yourself). It's clean and contemporary, order at the counter and grab a table. Breakfast with ocean view is the way to start your day and the while the food holds no surprises (burgers, sandwiches, salads, etc) it's surprisingly delicious and affordable. 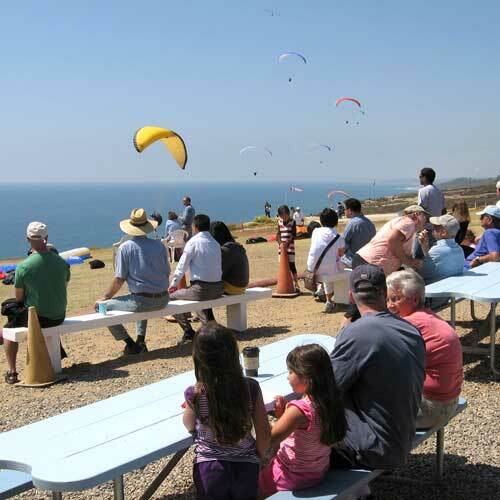 The Torrey Pines Gliderport is a recommended destination whether you're here on vacation or a local just looking for something to do. To watch people jump off the cliffs and rise to the sky is awe inspiring and if you have the guts you can join them on a tandem flight. Or just grab a sandwich and enjoy the show. Food here is better than you would think with gourmet sandwiches and soups of the day. Lunch and cash only, bring a jacket on all but the warmest days as it can get windy. Piatti feels like your favorite neighborhood restaurant, a locals hangout that serves up top notch Italian cuisine. Of course, the neighborhood is La Jolla and the beach is a few blocks away so this is some great neighborhood. Creative pastas, you can order half portions or split plates, perfect if you want to try more than one thing. Beautiful romantic patio seating under the giant fig tree and family friendly. Parking is tight so arrive early. You might remember Malarkey as the bold (and boisterous) chef on TV show The Taste. How could you not? He was loud and obnoxious but can he really cook? Taste for yourself at Herringbone La Jolla, an old 1930's warehouse converted into one of the most unique and beautiful restaurants in town with 100 year old olive trees growing inside the dining room. A fun vibe, this is no stuffy old school seafood joint. Awesome cocktails, incredible food. These guys take cooking seriously, making just about everything from scratch and constantly changing the menu to reflect the freshest ingredients they could get that day. This is they type of restaurant that uses the entire animal, preparing everything from prime cuts to taking the leftover bits to make sausage. Your taste buds will be challenged if you want but there are standout standby's as well to please every diner in your party. Hotel restaurants are usually nothing too special but the Nine-Ten at the Grande Colonial is different, serving up a foodie worthy Cali-French cuisine. This tiny restaurant opens to a few tables on the street, perfect for people watching. Of course, once the food arrives you'll be staring at the picture perfect plates, artistically arranged and so pretty you might be hesitant to take the first bite. Half off appetizers and $5 wine at Happy Hour, or splurge with the Mercy of the Chef menu, where $80 gets you whatever inspires the chef that night. George's at the Cove's take on gourmet tacos! When Chef Trey Foshee of Geoge's at the Cove fame said he was going to open up a taco shop, I was skeptical. 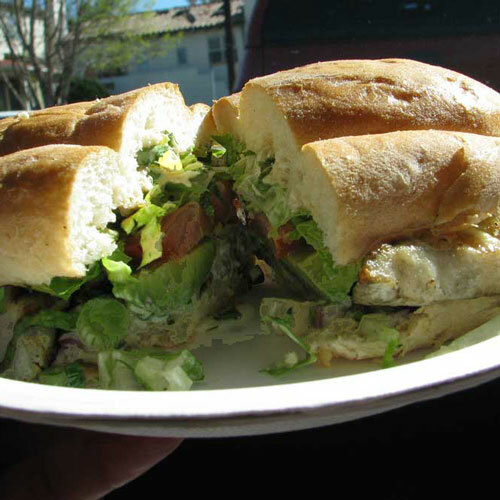 After all, San Diego is famous for our taco shops, casual eateries with authentic Mexican food at affordable prices. But Galaxy Taco is no TreyBerto's, forsaking the standards and going for a modern take on classic Mexican food. Gourmet tacos never tasted so good! Location near La Jolla Shores makes this a top place to dine, whether it's after a kayak ride into the caves or a casual dinner that doesn't break the bank. Expect top quality, affordable prices, and tons of tequila choices as well as full bar in a flip flop friendly setting. El Pescador was started in 1978 by an ambitious 19 year old surfer who quickly found an audience with his ultra fresh fish. Fast forward to today and their fish market is still thriving - along with their tiny restaurant where you can get some of the freshest fish in town in a taco, sandwich, salad, or on a plate, all exceptional quality. Very reasonable prices, come here before or after that trip to the beach. When it comes to burgers I know what I like. I hate burgers with giant buns, I can live without gigantic burgers you can't fit into your mouth, and whoever decided a fried egg was a good idea never took a bite and had it drip down their arms. 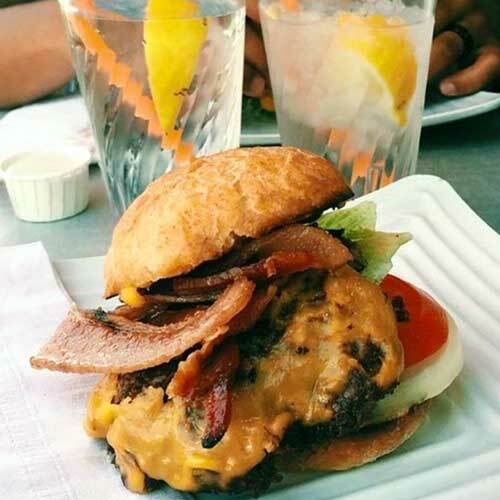 Happily, the Burger Lounge avoids all that, making a burger often voted as Best in San Diego. Use the awesome salads as bait to get your spouse to agree to let you eat here.